6 1/2" x 4 1/4" B/W photograph taken outside a home of unidentified high school class. "Anna's class in school Conway Mass". Also "Horn" (family) is written in one corner. 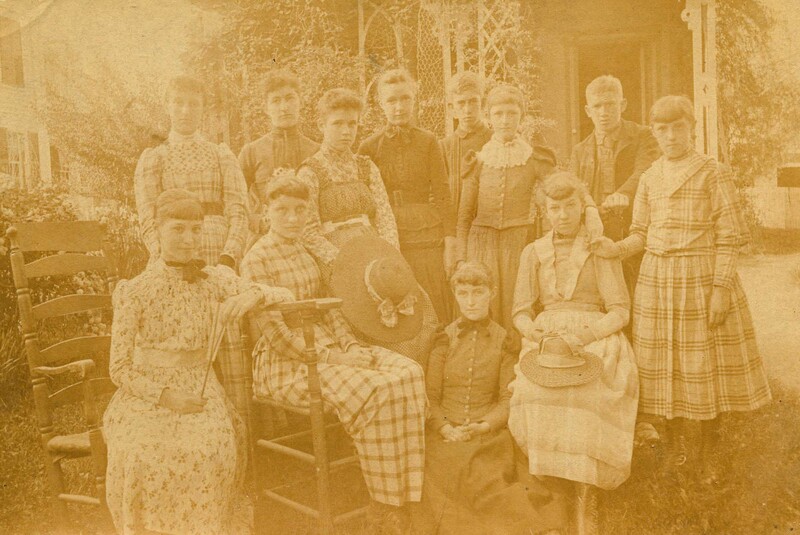 Unknown., “Conway High School Class Photo,” Conway Historical Society, accessed April 21, 2019, http://conwaymasshistory.org/items/show/991.